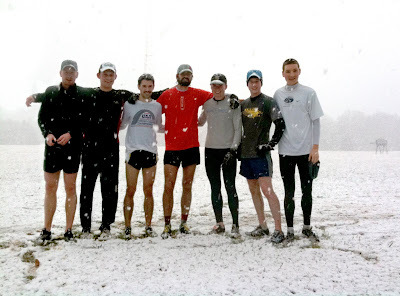 GEORGETOWN RUNNING CLUB: UPDATE: THE LINE on Sunday! in the background of that photo there looks to be a monster lurking. what is it? They were a nuisance at first, but Towpath brought a light saber and he handled them.